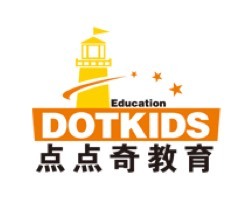 Dotkids Education is a professional English school for children in Beijing, China. It was founded in 2004, registered at Beijing Education Commission and Administration of Foreign Experts Affaires. Dotkids now owns three schools, one kindergarten and also coordinates with several other international kindergartens. The company has around 30 full-time foreign teachers, most of whom have been with the company for a long time. We take teaching very seriously. So if you have a passion for teaching and would like to come to China, Dotkids just might be the place for you. 1. American, Canadian, British or Australian teachers only. Thanks to teachers from other countries. 2. Over 21 years old with a university degree. 3. Teaching experience is required. 4. Easy-going personality, patient, highly motivated, passionate, energetic, creative. You will be responsible for preparing class lesson plans. 1. 32 teaching/office hours and 4 preparation/seminar hours per week. One day off per week. Most teaching hours in the afternoons, evenings and weekend. 2. Schools location: Beijing, China. 3. We offer legal working visa and foreign expert certificate, which is required to teach in China. 4. The contract is around a year long. The Salary is 20,000-22,000rmb(around17,200-18,700rmb after tax) without apartment, or 14,200-15,700rmb after tax with apartment per month, 200rmb bonus for full attendance every month, 1000rmb bonus for full attendance every semester. In February and August, due to the holidays, there will be 3-4weeks off, you will be paid hourly, and it's 150rmb per teaching hour. Upon completion of the contract, you will be paid a 5000rmb bonus. For renewing the contract, there will be a raise of 2000rmb for the next contract. 5. Teaching kids age 3-15. You will teach oral English, reading and writing. The teacher needs to be very nice, energetic and able to do lots of games and songs. It's a fun job if you like children. 6. The accommodation we offered is with basic bedroom necessities and internet. Usually it's one bedroom in a big apartment. 7. 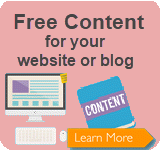 We offer free teacher training and teaching materials. We require you to attend a teacher training course of around two weeks before you start. 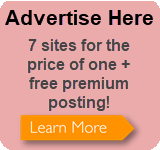 There will be no fee charged and also no payment for it. What you need is your passion and love for teaching. 8. We offer you free Chinese classes, three hours per week. 9. We offer you around ten paid holidays, including the Chinese May holiday and the National Day October holiday. 10. We offer you a year long accidental insurance and 2000rmb per year for any hospital bill reimbursement. 11. We offer airfare reimbursement to China. 12. For teachers overseas, we can arrange free airport pickup and a tour of your new apartment, neighborhood, local shopping venues and supermarkets. We have the foreign affair department to help you with daily life and other things. You can email Tina at tina@diandianqi.com or call her at +86 13520865818. Wechat ID is 13520865818. Please attach your resume, your passport first page, a recent picture, TEFL certificate and your diploma.